This is partly my fault, as it would make far more sense to most people to just say I will make it a mobile friendly website. However, the term “mobile friendly websites” is not always enough if your site is actually responsive to different screen widths, since there are far more devices out there now than just mobiles to which your website will need to adapt, such as tablets. Hence the site needs to be “responsive”. When I first started developing websites, I used a one-size fits all approach. The site used a specific pixel-width, and these sites if viewed on a smaller screen today, would either shrink proportionally to a size impossible to read, or simply have large sections cut off. For this reason, and due to the increased use of mobiles and tablet devices, I now start a project with a responsive theme in mind, and it is important for me that the client approaches the project this way too. It often makes things a lot simpler at the beginning of a project when a client sends me links to sites he / she likes, so I know the styles and functionality they require. But some of the sites they show me also have limitations that the client does not initially notice, and the main limitation I often see is a lack of responsive design. My client will view this site on a desktop and note how beautifully everything fits together, how the navigation is clear and functionally, the banner is bold and bright and the content is easy to read. But when viewed on a mobile, half the banner, including company logo, is cut off, the content shrinks to a size impossible to read, and some of the navigation is hidden off-screen. Responsive design can mean making compromises. I’ve worked with companies that specifically design for print, and they’ll see a web page and ask to move something a couple of millimeters to the left, or centre a logo, based on how the page looks on a desktop. This is fine, but any changes must be viewed as to the effect they make when screen size and shape changes too. So does your site specifically need to be responsive? I’ve had clients with existing sites, where I’ll ask them if they want me to make their site more responsive, and they’ll often say, “No, I don’t think that’s necessary in my case – I’m sure most people will just view it on a desktop at home.” Are you so sure though? Smart phones are almost the norm now, and due to their portability, the convenience factor to browse the web on them is huge. 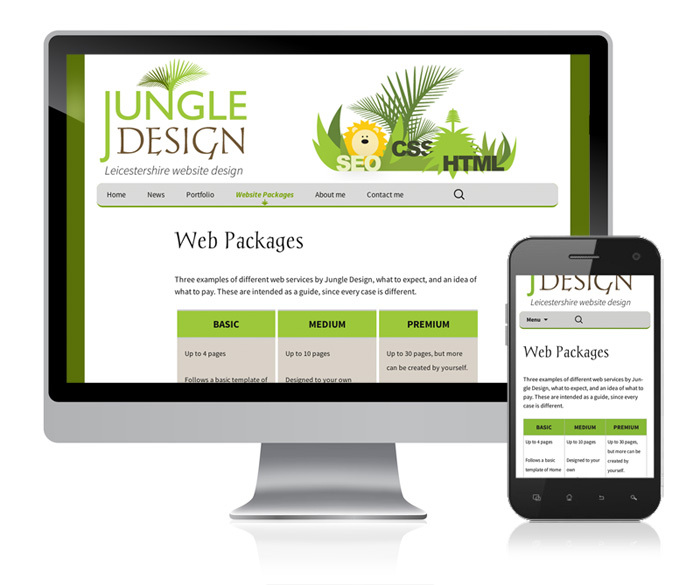 Re-developing a site into a responsive one can be relatively cheap with a small site. WordPress themes come with a responsive layout already in place, and it’s the job of the developer to make sure this stays in place as they add to the site. However, for large e-commerce sites it could mean doubling the design and development costs, or even developing a mobile friendly app. If the thought of such a large investment scares you, then maybe do a questionnaire. Speak to your customer base, and find out how many would be prepared to buy online? If the number is large enough, then any investment could prove lucrative in the long run. The world of the web is changing, and developers and their clients need to keep up with this and be prepared to build web applications that work on all formats, because the new generations are quite happy to browse and buy this way, even if you are not.